Many across America have heard of the Miss America pageant, but this pageant, much like Miss Universe and Miss USA, also has a Teen competition. 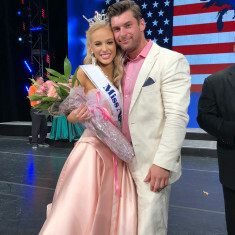 Miss American’s Outstanding Teen is the sister pageant to the Miss America Organization and strives to promote academic achievement, community involvement, healthy living, and creative accomplishment for teens around the country. The first Miss America’s Outstanding Teen pageant competition was held in August of 2005 in Orlando, Florida. 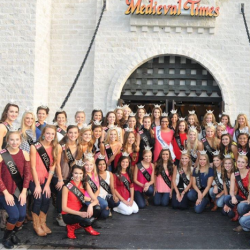 One of the largest scholarship pageants in the country, more than $100,000 in scholarship grans are distributed among the 52 contestants in the pageant, with the winner receiving a $30,000 scholarship. For the last 20 years, the Miss America Organization and Miss America’s Outstanding Teen has worked with their official national platform, the Children’s Miracle Network Hospitals, to raise funds and awareness for children suffering life threatening illnesses around America. As contestants prepare for their local, state, and national competitions, they are also encouraged to set fundraising goals to benefit this platform. Contestants are asked to set minimum goals of $100 for their local pageant competition, $250 for their state competition, and $500 for their national pageant. The fundraised money benefits the Miss America’s Outstanding Teen Scholarship Fund and the Children’s Miracle Network Hospitals. 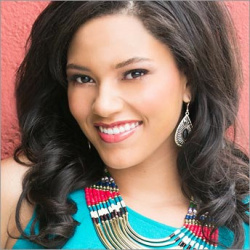 Miss America's Outstanding Teen contestants compete in 5 areas of competition. Interview, accounting for 25% of the score, talent which is worth 35% of total score, evening wear with on stage question accounting for 20% of total score, physical fitness which accounts for 10% of the final score, and finally scholastic achievement which also accounts for 10% of their final score. -Must not be eligible to compete in the Miss America Competition. 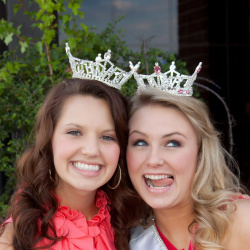 If this sounds like a pageant that fits your personality and goals, visit http://maoteen.org/.